Our Famous Field To Table Pizza Dinners! Mountain Harvest Organics is a destination farm, with breathtaking views on the drive to the farm , so schedule a day trip for a romantic or family outing that includes a hike at famous Max Patch Bald, followed by one of our famous field to table pizza dinners where you design your own pizza! With each field to table pizza dinner, you will be able to enjoy a free farm tour, to see the gardens alive with pizza toppings! 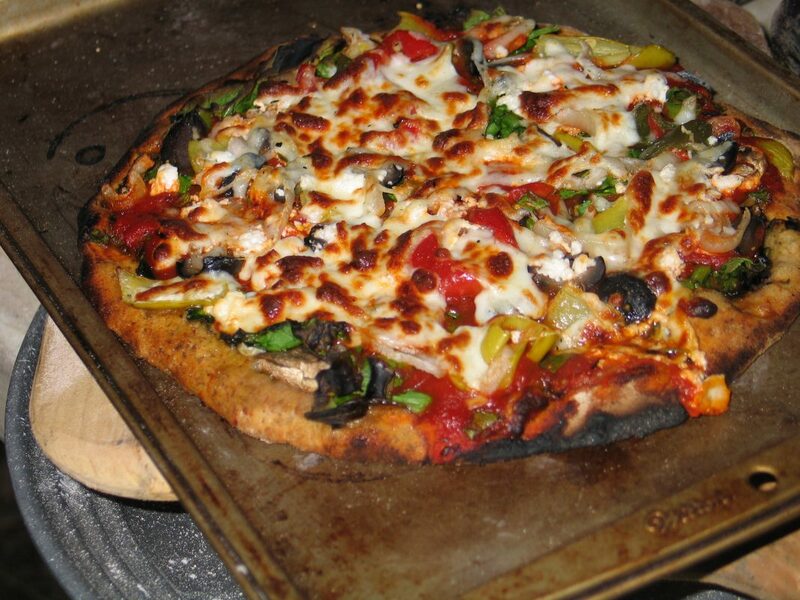 A pizza dinner after a hike is a great way to reward the young’uns for an unplugged outdoor adventure along one of the many amazing trails surrounding our area. A pizza cooking in the oven! 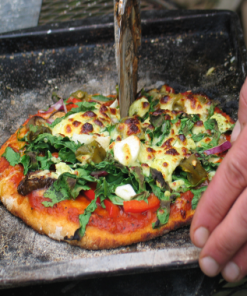 A pizza that just came out of the oven with toppings grown and raised on the farm. Our pizza dinners offer you flexibilty with your schedule! 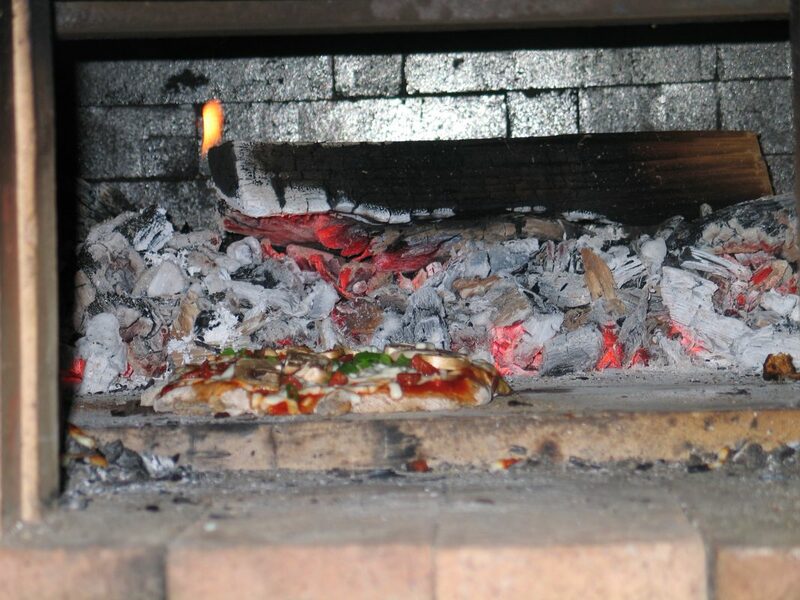 On our schedule Field to Table pizza events, we’ll have our wood fired oven warm and ready from 1 PM until 5 PM.That way you can simply stop by the farm when it is convenient with your schedule.All you need to do is book your tickets in advance and we’ll have the pizza ready for you to make. Be sure to set aside time for a FREE farm tour, because it is always fun to see the pizza ingredients growing and/or wandering through the fields! The farm does have a few short hiking trails that offer a great way to escape into the forest. To make your reservations, look through the scheduled events, then select “add to cart” for the event that works with your schedule.